Canadian homebuyers are getting another opportunity to combine their two favourite pastimes: buying property and hockey. 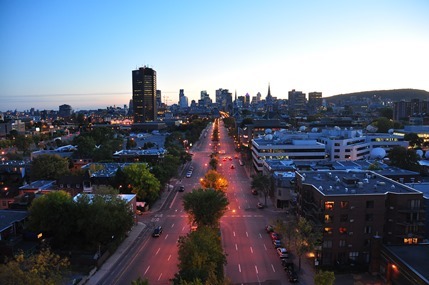 Citing the strong sales and enthusiasm surrounding the first Tour des Canadiens de Montréal, developers announced a second tower to be built south of the Bell Centre on Saint Antoine.The new 37-storey condominium will feature 438 units and be connected to the Bell Centre by a pedestrian bridge. Prices for the smallest units start at $200,000, and residents will get priority access to hockey tickets, among other perks. The tower is the second phase in a massive $2 billion construction project called ‘Quad Windsor’, which intends to develop several city blocks immediately south of the Bell Centre/Windsor Station complex. The consortium involved includes the Canadiens hockey club, Cadillac Fairview, Canderel and the FTQ solidarity fund. The first ‘Canadiens Tower’, launched in 2012 and currently topping out, sold out in three months. Despite a drop in sales for all housing types excluding condos, there is still plenty of interest in the condominium market in Montreal. Real estate analyst Mathieu Collette told CTV Montreal there are more than 50 condo projects currently underway in Montreal, with 18,000 units, of which roughly 70 per cent have been sold.